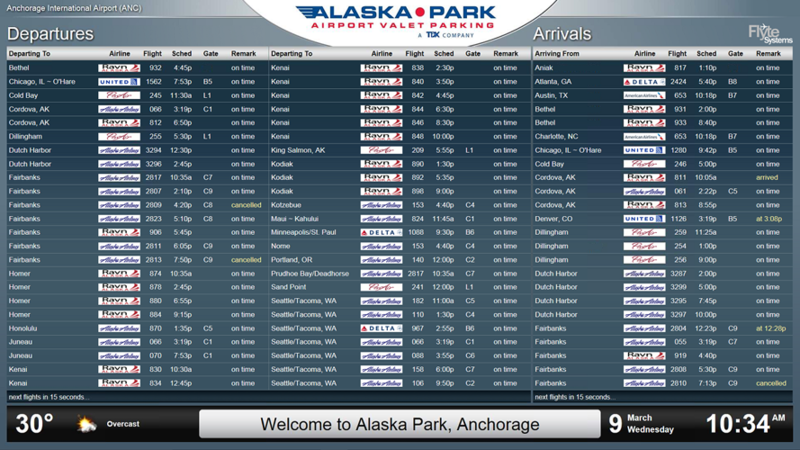 If you are flying out of Anchorage’s Ted Stevens International Airport, try parking at the only valet park-and-fly facility, Alaska Park. 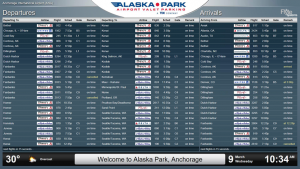 Most off-site airport lots offer shuttles, but Alaska Park features personalized curb to curb, first-class valet services and a FlyteBoard real-time airline flight schedule display from Flyte Systems in its lobby. Alaska Park is owned by the Tanadgusix Corporation (TDX), an Alaska Native village corporation, created under the Alaska Native Claims Settlement Act of 1971. The facility is just one mile from Ted Stevens International Airport and offers a safe, well-lit drop-off and pick-up area. Alaska Park offers a secure location with 24-hour staff and surveillance for extra comfort. “Parking facilities are an extremely important part of the air travel journey. When travelers arrive to park at their off-site lot, it helps them relax if they can confirm their flight’s departure time. This is a valuable service, and parking facilities that provide it have a loyal following,” said Flyte System’s Vice President Scott Triphahn.